Reading in Language Class - BOOK GIVEAWAY! 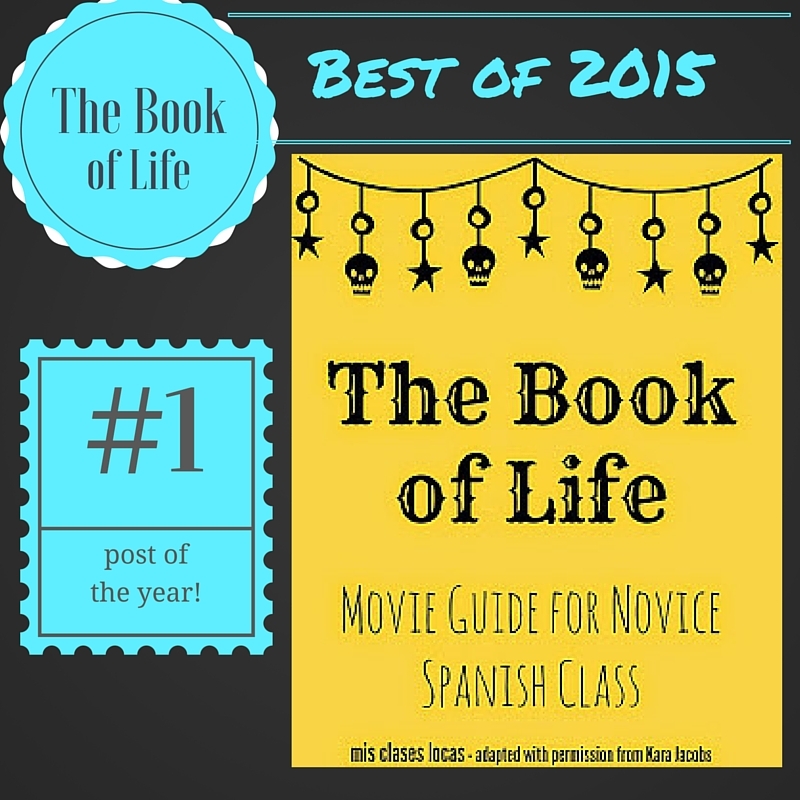 On many occasions I have posted about My Spanish Classroom Library. Novels are the main course of my curriculum, but free reading is the self selected dessert. As I have mentioned before I use my library for free choice reading at the beginning of class on Tuesdays & Thursdays for 5-15 minutes depending on the class level. We started 2nd trimester of Spanish 1 for 5 minutes and build in length as the levels progress. There is little accountability since the point is students doing extensive reading on their own. I only have them fill out this form for their own records so they remember what page they are on and if they have read a book yet already or not. As for implementation, I try and guide students to books in which they will feel successful. Students can sit anywhere in the room that they are able to focus. I just ask that their eyes stay on the page, and they they do not just flip around. For some classes who are highly distracted, I really encourage them to follow along with their finger. I set a Google timer, get out my own free reading book and we read for fun. Now for the fun part, a GIVEAWAY! 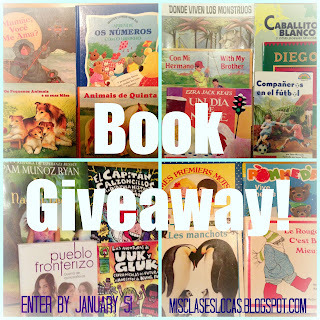 I want to help you start your own classroom library, so I am giving away a 5 bundles of 4-6 gently used children's books in French, Portuguese & Spanish. Most of these came from duplicates that I acquired buying bulk book sets on Ebay. The French and Portuguese came from randoms added by people who obviously could not tell the difference between these languages and Spanish:) There are three bundles in Spanish, one of chapter books and two of children's books. If I get enough submissions from teachers of other languages, I will even draw for a book gift card as well! To enter fill out this form by Tuesday, January 5 at midnight CST. The winners will be drawn on January 6 and notified by email. You will have 24 hours to claim your prize. You may earn up to 8 entries by following the steps on the form. 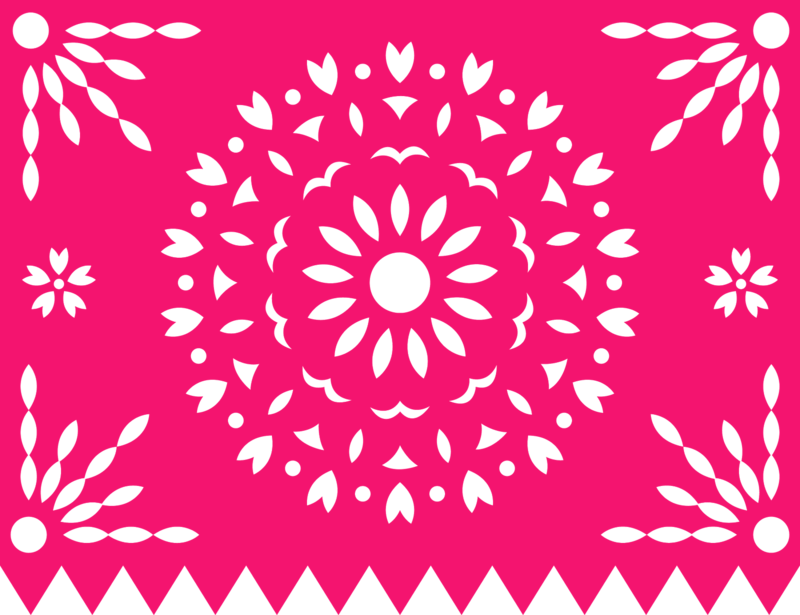 Many of the entries involve following Mis Clases Locas on social media. If you already follow me on one of these platforms, just enter your handle below the entry. Here are links to prepare for your entries and so we can connect online! Even if you do not want to enter, there is a space in the form for feedback for what you would like to see in the blog in 2016. Let me know what you would like to see. If you are anything like me, coming back from a break usually means easing in with mini cultural units. My students usually equate culture with FUN, which makes for an easy sell when students tell you they "do not want to do anything hard" on the first day back. Also, as a department of one cultural units that can be adapted for all levels are a lifesaver for me as I get my bearings and plan for the units to come. This is what I plan on doing in all classes except my 6 week 7th grade exploratory Spanish who will be doing a very simple Reyes Magos on Wednesday and Geography Mini Unit the rest of the week. My go to cultural lessons always come from Martina Bex, as you will see in my plans below. My first day back plans include starting with a casual conversation about what everyone did over break in the past tense weekend talk style. This leads nicely into my speaking find someone who about break. There are also a tone of great ideas in the Creative Language Class - New Year posts including traditions around the world and writing resolutions. 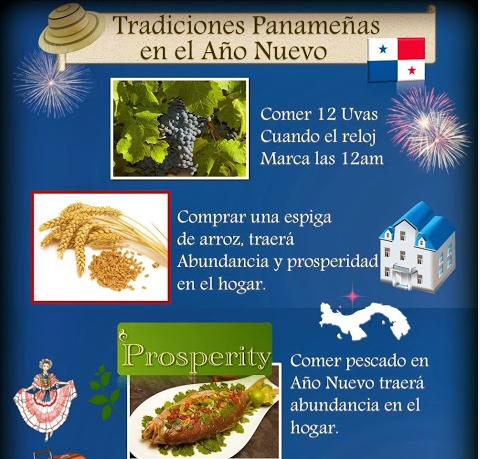 Finally, below are links to 3 New Years related Infographics in Spanish. What are your plans for your first week back? Besides being a full time Spanish teacher, I also still work for an organization called Camp Adventure Child & Youth Services through the University of Northern Iowa. I spent five summers in college working as a camp counselor on military bases overseas. My current role in the organization is working to develop the college students into leaders in the organization. One of the events that I help to facilitate is our veteran training. This event has been run for many years by Angie Widner, who has taught me many ice breakers, team building, and leadership activities. One of these activities she calls "the bus stops here." In this simple ice breaker 2 images are projected and once switched everyone must "get off the bus" and choose which item they like more. You must choose which one you like more and can not hang out in the middle. After facilitating this event this year, I came to the realization that this would make a wonderful language game. My 7th grade exploratory Spanish was working on the phrase "I like" and it was a great way for them to get up and move, while expanding on their answers. In our Friday feedback many 7th graders mentioned that they love how they get to move in Spanish class with baile viernes, songs and games, so everyday I like to have some kind of movement in the middle of our hour long classes. Explain that once each slide come up students must quietly walk towards that side of the room. When the slide switches, have students move to the side they agree with. Circle the question "what do you like more?" and the students' answers. T - Jane, what do you like more? S1 - I like Snapchat. T - Class, does Jane like Twitter or Snapchat more? Jane likes Snapchat. Class - Jane likes Snapchat more. T - Jane, why do you like Snapchat more? S1 - I like Snapchat because ____. Do not overdo the circling because you do not want it to get stale. It works best when students are heated and very divided on their likes and dislikes. Here is my basic Slide show, but make sure to personalize it. Try adding the rival state university or professional teams as well for good debates! Students may need support with their reasoning with the teacher adding common reasoning words on the board as support. Switch to a new slide and repeat. What are other ways you get your classes up and moving? Sometimes there are students who come into your lives and remind you why you became a teacher. I have one of those special people right now in my exploratory 7th grade Spanish class. Since this class is a part of the "hex" or six yearly exploratory classes for junior high, every student in the grade is a part of it, including those who spend most of their day in the self contained special education. This means that I get the chance to have the sweetest little guy in my class. Here are two awesome things that happened this week. 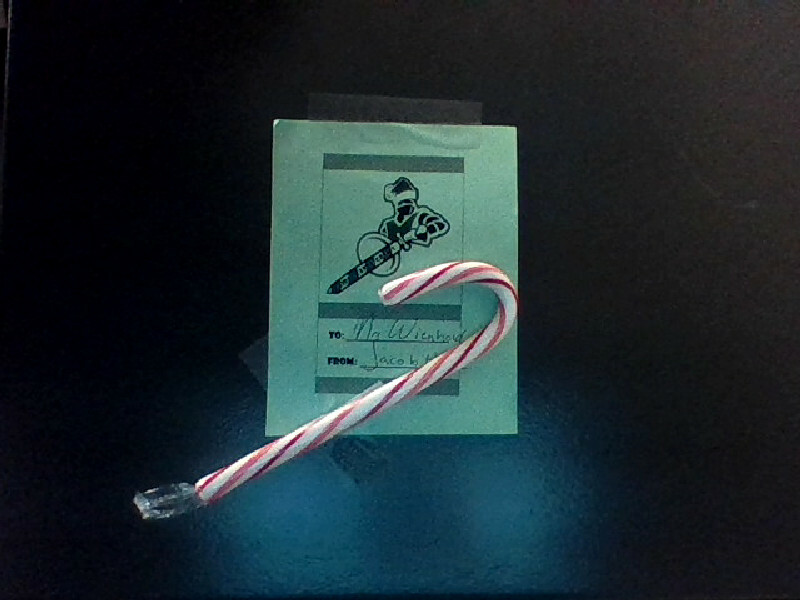 Today I received a candy gram candy cane from him that warmed my heart. His special education teacher told me that he came in last week with a bag full of change and wanted help sending all of his teachers a candy cane. This is a kid who does not have much, but wanted to use his piggy bank savings for his teachers. It is now taped to my desk as a daily reminder to pay it forward. Each day we do "persona especial" interviews where I ask each students questions in Spanish in front of the class. This week my buddy asked to be the special person. I have to say, I was quite nervous. He has a 1st grade reading level and a full time aid who writes everything for him. After just 2 weeks of Spanish ever, I really saw the power of comprehensible input. He answered every question in Spanish. It did not matter that they were single word answers, he understood enough to answer in Spanish! It was true proof to me through repetitions of high frequency vocab with comprehensible input ANYONE can learn a language. I felt like a proud mama and could not wait to brag about him to his teacher. As I have mentioned before, teaching early novices rocks. I am in love with these students and their early love of Spanish. During a part of the year where other classes have lost their luster and we all need a break from each other. This class and student have been my bright spot reminding me that what we do matters. I hope that each of you have a student like this to help relight your spark. If you are done today, may your break be rejuvenating and you spend lots of time with those you love. If you are like me with two more day left next week, may your coffee be strong and your Christmas treats abundant! For a little back story, this is my first year at a new school where students are used to a very traditional textbook curriculum. We are also on trimesters and I started the year with the 2nd trimester of Spanish 2 & 3, meaning they ended at Thanksgiving. 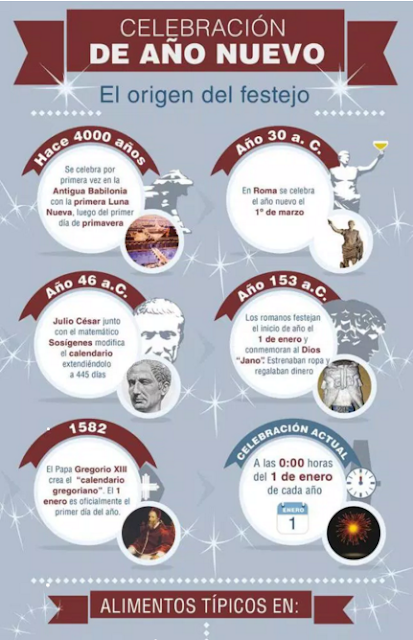 (Students take 2 trimester of each level of Spanish, meaning they can finish four "years" in three). Those two groups have now just moved on to Spanish 3 & 4. My two classes of Spanish 2 have now combined, minus a few students to form my new large Spanish 3. The Spanish 4 is the interesting situation because half of them are juniors who just finished a trimester of Spanish 3 with me, and the other half are seniors who finished Spanish 3 last February. These means I have students who have not had Spanish in almost a year, who have never been a part of a CI class. Did you catch all that? As a transition time and review between Thanksgiving and Christmas we spent 2 weeks on Martina Bex's El Secreto Unit, focusing on irregular preterite structures. While my current Spanish I is now on their tenth story unit and creates stories on a weekly basis, these new Spanish 4s had NEVER done a class story. Ever. This is mostly my fault, since at the start of the year I thought the upper levels would be "too cool" for stories, so we instead jumped right into novels. The 2 boyfriends fighting over their "girl." It is always the boys who love being actors in my classes! They especially love a story when you get out the prop box at the start of class and hype up how they get to go something new and fun. I asked for two volunteers to be out main characters and they loaded themselves from the prop box. (If you do not have a prop box, start one! Mine is a mix of ridiculous things I collected traveling, cheap Halloween costumes and the most important items, wigs!) The props and my great actors made for such FUN classes. With back to back levels 3 & 4 at the end of the day, it was one of those times I left school loving my job and thanking myself for making the switch to CI teaching methods. One of the actors left bouncing out of class saying it was the most fun Spanish class we ever had, and asked if we could do that every week. This is the same student who almost did not move on to the next level because he was failing Spanish. Here's to a great last SEVEN days of school and not taking everything so seriously. And the most popular post of the year is....(drum roll)...The Book of Life! It is funny that the most popular posts of the year was one of the shortest, but with a usable resource. I guess that shows you are looking for short, to the point posts with something you can take and use in your classroom! It was not that popular at first, but really took off around Day of the Dead this year. I also have to thank Kara Jacobs, because this is just an adaptation on the great resource that she shared first! The original post is below in case you missed it the first time. 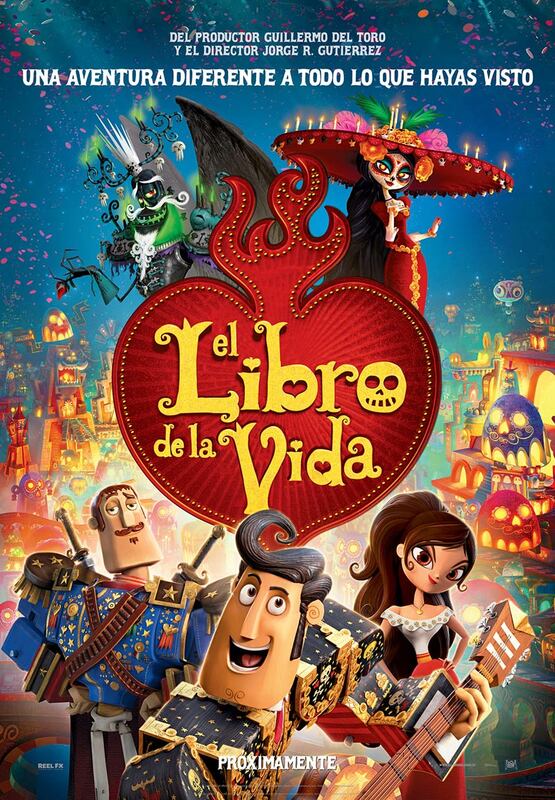 This year to end our Tumba unit in Spanish I, I plan on watching and discussing El Libro de Vida (The Book of Life) in Spanish. It is a cute animated movie and you can see my review of the movie here. Kara Jacobs shared her awesome upper level guide in Spanish here. 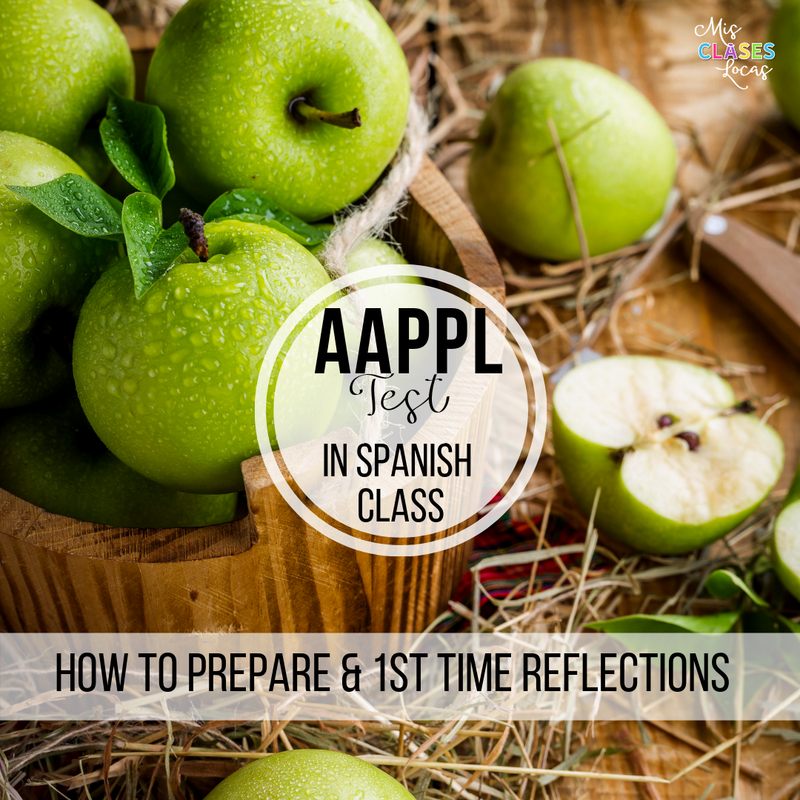 Her guide has chronological questions, character descriptions and a "who said it" activity all in Spanish and would be perfect for an upper level class. I plan to use her questions in Spanish as we watch to keep our discussing in the target language. 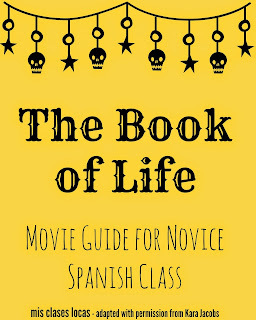 Just like I did with my novice guide for the movie Canela, adapted from Kara, I have made a novice guide for the Book of Life. I am sharing it with Kara's permission. Some classes may not need the questions in English, but my particular Spanish I class works better with something in front of them to keep on task (especially at the end of school year:). 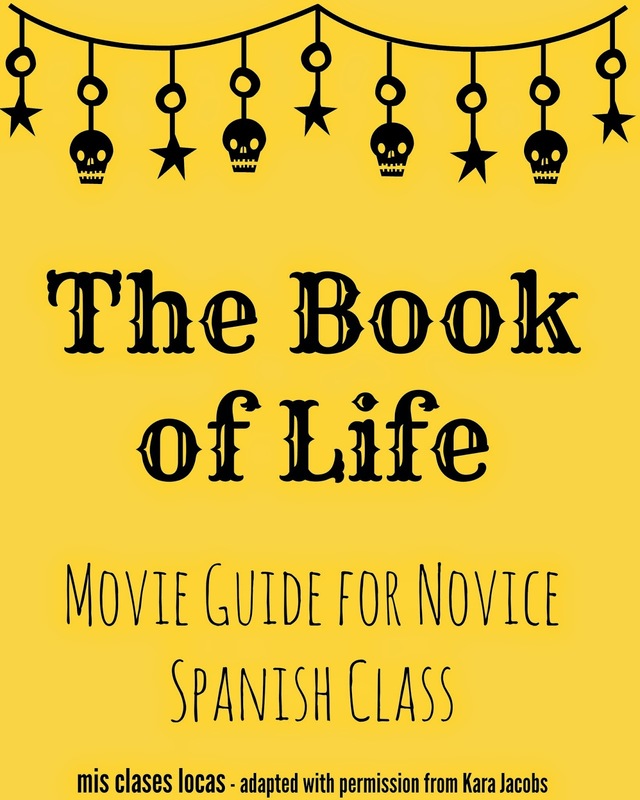 The guide with English questions could also be used with the movie as a substitute lesson plan for a non-Spanish speaker. Thank you again Kara! Well there you have it, the most popular post of 2015. Thank you for reading! My 2nd most popular post of the year was all about back to school! Hopefully some of you who will be starting new classes at semester will find some of this helpful at this point in the year. 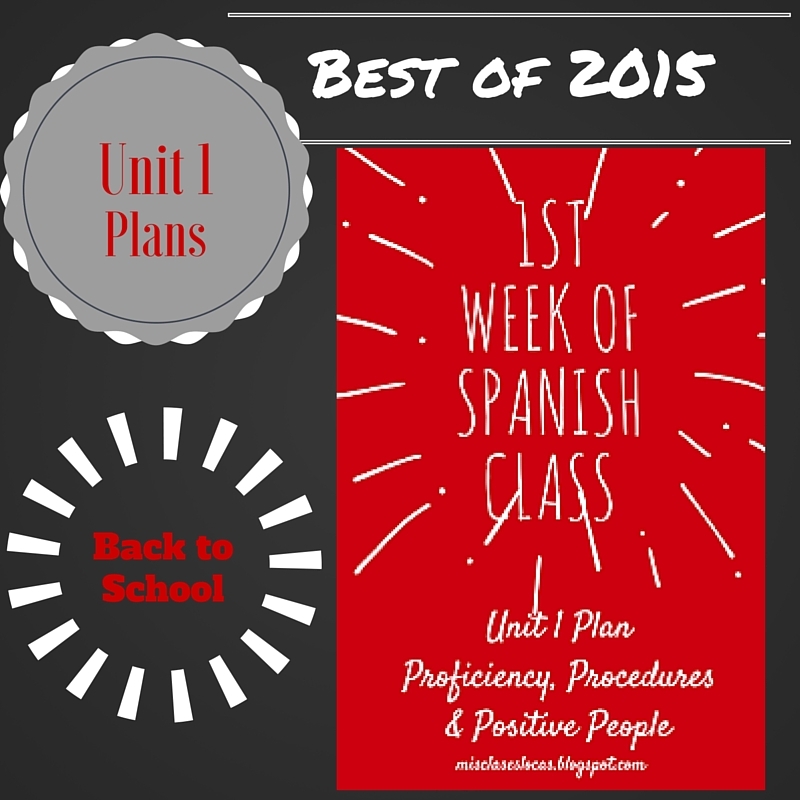 My first unit of the year focuses on Procedures, Proficiency & Positive People. 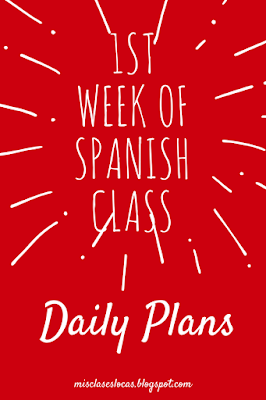 As promised, here is a detailed tentative plan day by day of the first week of Spanish class. 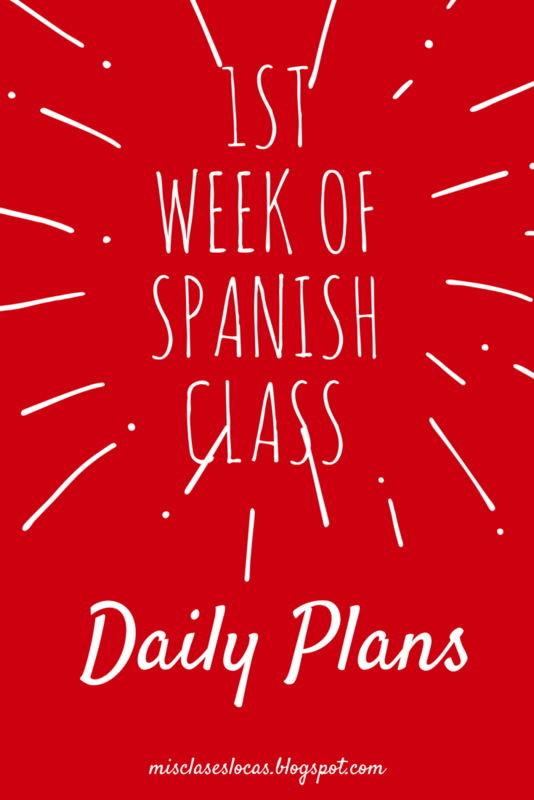 This is the basic plan for Spanish I, but I plan on just building on this for Spanish II & III, with higher levels of conversation in Spanish, such as talking about what people did over the summer in the past in Spanish III. My 1st Week Logistics includes lesson plans and slideshow for week 1. One of the most popular posts of the year come from way back in January. It was a request from a reader after I posted about using Trivia Crack as a choice homework option. The interesting thing is this year I went back to the old stamp sheet method listed below for all classes. The whole idea of choice homework was new to my students, so I did not want to overwhelm them with too many option right away. This trimester Spanish III & IV will move to having the list of options, but will only turn them in every other week. This is due to the overwhelming nature of having to check them weekly for me, and the repetitiveness of weekly assignments for them. Please share your method for choice homework in the comments! Students had to get 8 stamps throughout a unit, and any over that was the only way to earn extra credit in my class. At first it went great, students loved having a choice in their homework. They were supposed to show me what they had done before or after class, during work time, or before or after school. It worked great at first, until procrastination set in. Suddenly, the week of assessment when Real World Homework was due I would have a line out my door of students needing to show me ALL 8 completed activities. To make things worse, usually multiple classes were due on the same day, making for a quite irritated teacher. To ease this frustration, I started assigning a certain number of stamps per week, such as 2 stamps by Friday. This was better but still not ideal, since I would spend a big chunk of that day looking over Real Worlds. I finally realized that I was trying to cram too many in, since I would have 1 sheet of 8 stamps due every 3 or 4 weeks. Students were getting burnt out and resented what was supposed to be a fun homework option and I dreaded the days that they were due. I knew this year I needed a change. Since we started this school year newly one-to-one and using Google Classroom, I figured it would be a good time to try out a new choice homework system. I decided to try out the switch in just Spanish 3&4 at first, basing the point system on the one posted at Musicuentos. Spanish 1&2 still used the old Real World stamp sheets, since they were still new to them anyway. Every Tuesday by midnight students submit their "report" showing they did 3 points as a Google Classroom assignment in Spanish including "I did..." "It was worth__points," "I learned...," "I need to improve..." and a screenshot to prove what they did. Here is a link to my current choice homework options. 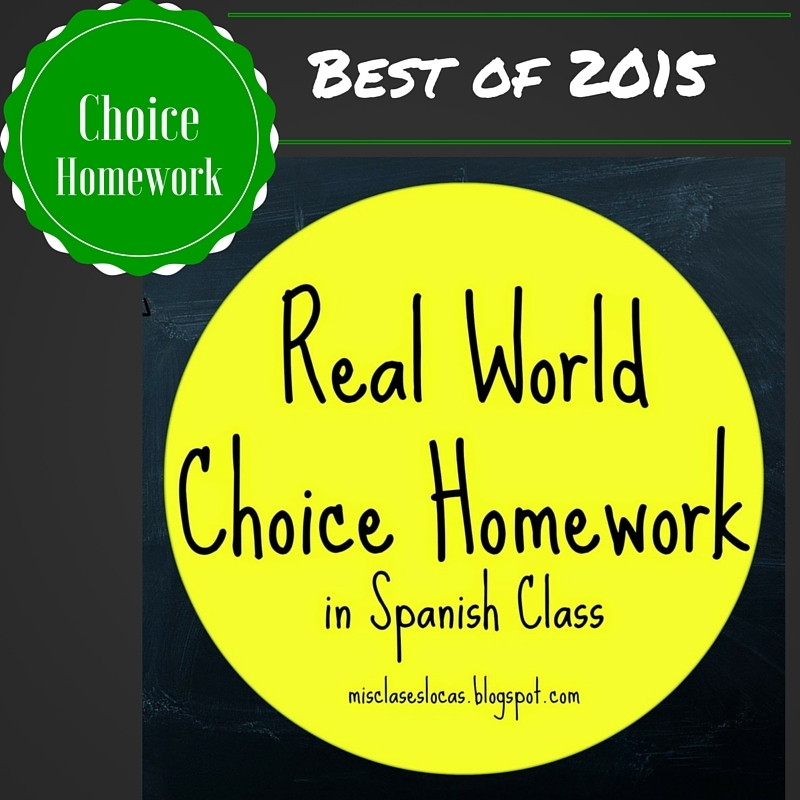 Here are links to many other choice homework options. The new system was a welcome change for the upper level students who had already done two years of Real World stamp sheets with me. They like all of the new options included, and the flexibility of doing extra work one week, to buy a free week. I also love the creativity they had shown suggesting new ideas such as Trivia Crack in Spanish, presenting to their class about their mission trip to Guatemala, or the Day of the Dead Snapchat Story. 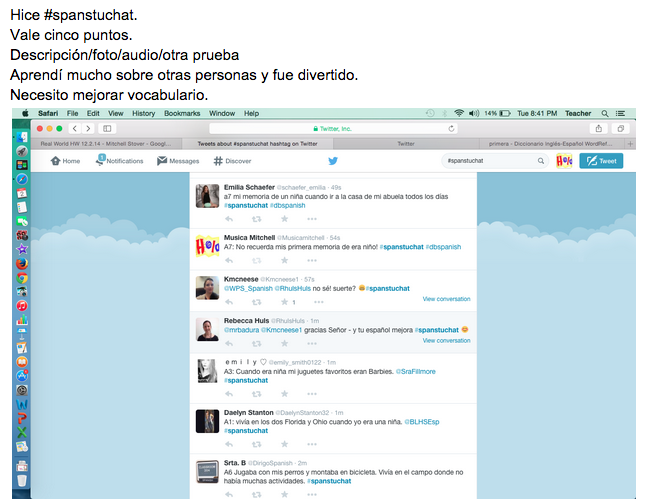 Another new option that many students love is #spanstuchat, which I plan on blogging on soon! It also does not take into any precious class time checking for proof of completion. (But instead takes into my own time correcting them. It is not too bad if I stay on top of them, but if I forget to correct 3&4 when level 2 comes in it can be a bit overwhelming). Quarter 2 I started Spanish 2 on the same system, but completing only 2 points on Wednesday. The topic of choice homework came up in last week's #langchat, and I got another idea that may change my structure yet again, Google Forms! @mrsbolanos brought up that her students fill out a Google Form as reflection for their choice homework. This would make correcting MUCH faster, but at the same time would not allow for students to include a screen shot of their "proof." I know that some of my students just screen shot the website and probably did not spend 30 minutes on it like they should, but such is life. There will always be those who feel the need to cheat the system, and who are really just cheating themselves out of a learning experience. I am going to keep Spanish 1 using the stamp sheets, because I like the one of one conversation and getting to know them as they turn them in, but they only have one or two per quarter now. 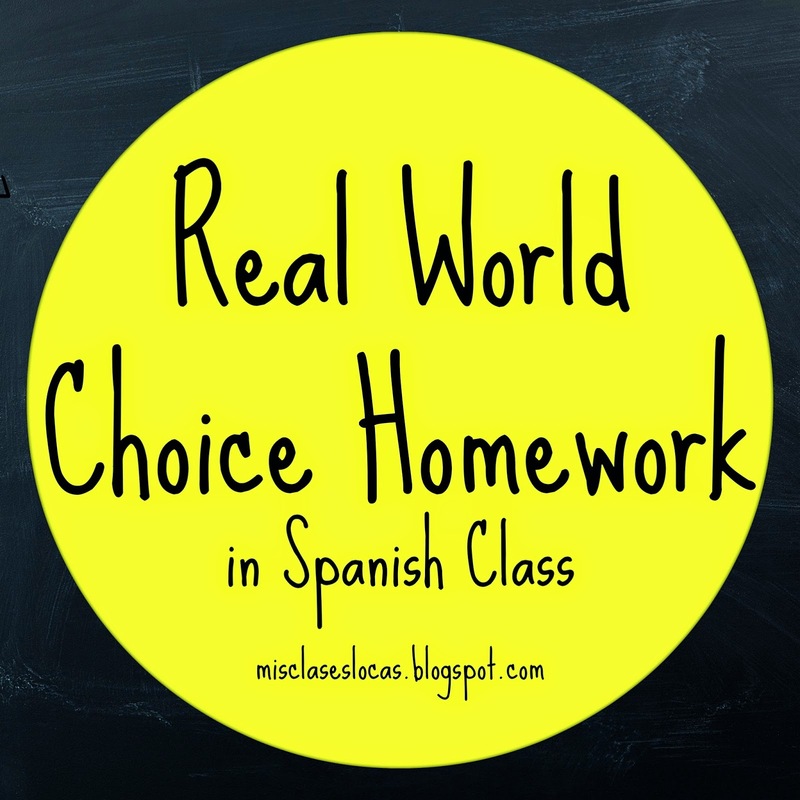 Do you do choice or real world homework? What is your system? 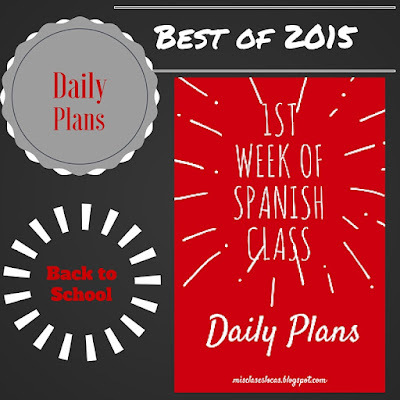 My most popular posts of all time is 1st Day of Spanish Class. 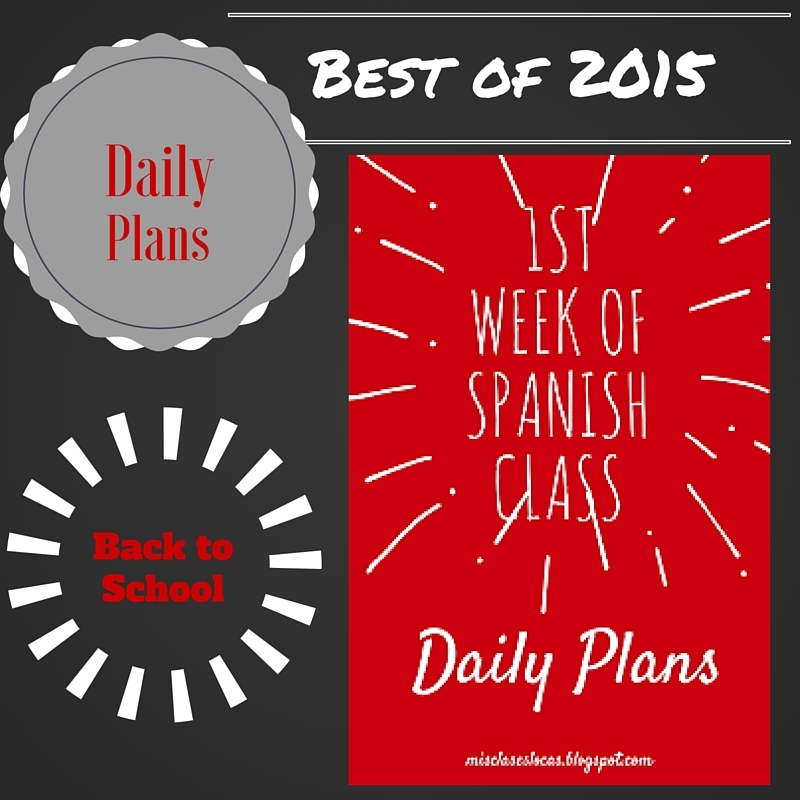 This year I am going the post about the tentative plan for the 1st Week of Spanish class. It is a mix of CI, proficiency and getting to know you. 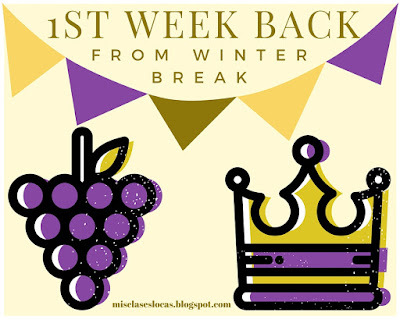 If you are in planning mode for that first week, make sure to check out all posts with the label back to school. After the PLC conference that I attended I realized I need to be very purposeful with the essential learning targets and the formative assessments I use to see if students have met these targets. Since I will be starting a new school, my personal goals for the first week are to learn all students names, start to build a positive class community, and set expectations for the year. While on a walk today I decided it is all about 3 P's - Procedures, Proficiency & Positive People. I will try and do as much of this as possible in Spanish, but this is the one week of the year that I think English is necessary to clarify expectations and make sure all have a grasp on the concept of proficiency. These students are used to a legacy teacher, where I think proficiency and performance assessments may be new concepts. First trimester I will have Spanish I, II & III, but to make sure everyone is on the same page proficiency wise, we are going to have basically the same unit for all levels, with more Spanish in the higher levels. I got a lot of ideas for the goals and performance tasks from the Shelby County Schools proficiency pre unit. As a class, we will have the following three main goals for the first week or so. I can introduce and state the name of everyone in my class in Spanish. I can explain the expectations and procedures of Spanish class. I can explain what proficiency and performance are and how they affect my language learning. After the first unit, the plan is for students to demonstrate they have met these goals by completing the following three performance tasks. All of these tasks are formative, so I do not plan on assigning a grade. I had though about giving a grade for the presentational writing, but since it will be in English, I do not want it to skew the overall writing grade. Any ideas on this would be appreciated! 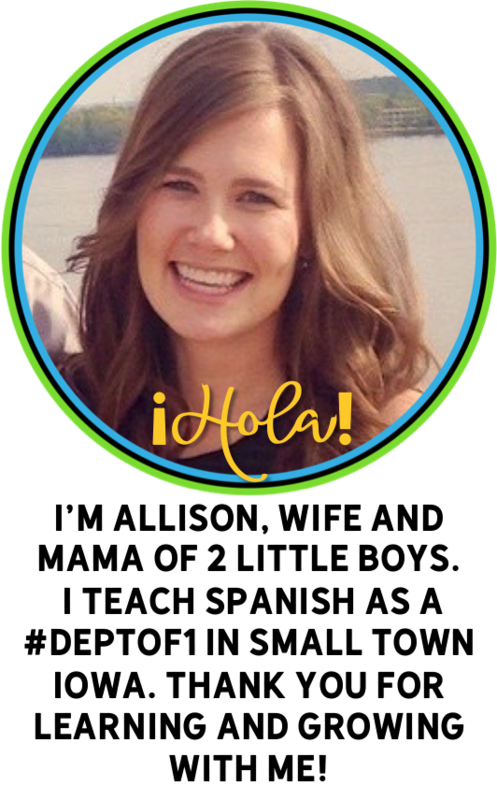 Introduce each person in your class to each other in the target language. Discuss with classmate the expectations, rules and procedures of Spanish class. Write about your proficiency goal and what strategies and performance tools you will use to help you reach that goal. 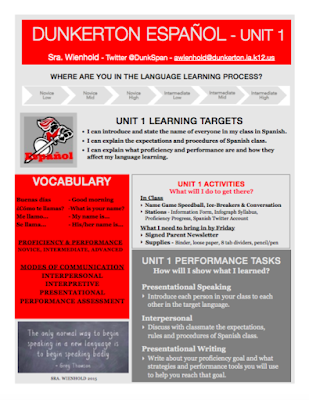 Below is what I tentatively put together to give to students so we are all on the same page, and they see exactly what they need to do to meet their essential learning targets. I would love feedback to let me know if I am on the right track or not! You can download an editable version of the unit plan here. 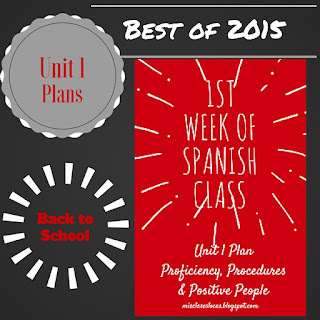 For more information, check out 1st Week of Spanish Class - daily plans & 1st Week Logistics. If you would like to download all of my back to school products together, you can find them here. This week I will be sharing the top 5 blog posts of 2015. You can see the best of 2014 here. Number 5 technically was from December of 2014, but since it was right after I already did my best of 2014 posts, I am including it with this year. This was also my most popular "Quick Tip" ever. The newest obsession of my high school students is a Facebook Game or App called Trivia Crack. It is basically Trivial Pursuit, but more in the style of "Words with Friends," where you virtually play your friends in trivia. 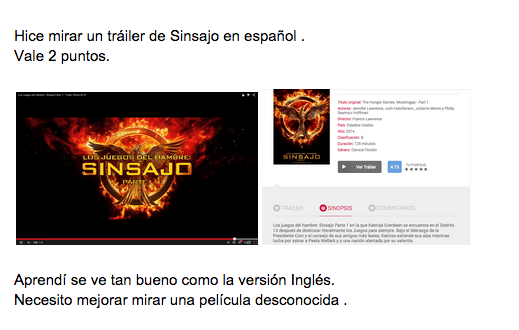 Here is the official website with directions in the language of your choice. 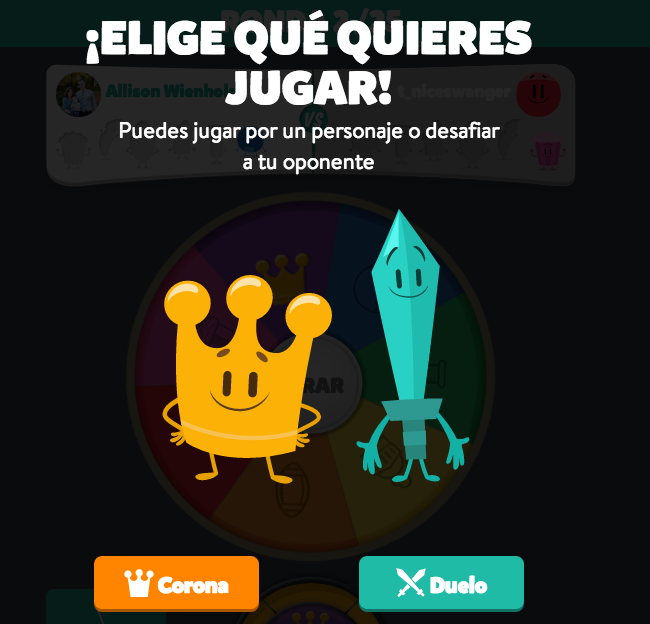 You win "crowns" in each category for answering questions correct and once you miss a question, you have to wait for the other person to play their turn. There is a also a challenge option that my uber competitive classes love. So how does this game relate to language teaching? Well you can change the language of course! So far the language options are Spanish, Portuguese, French, Italian & Catalan. 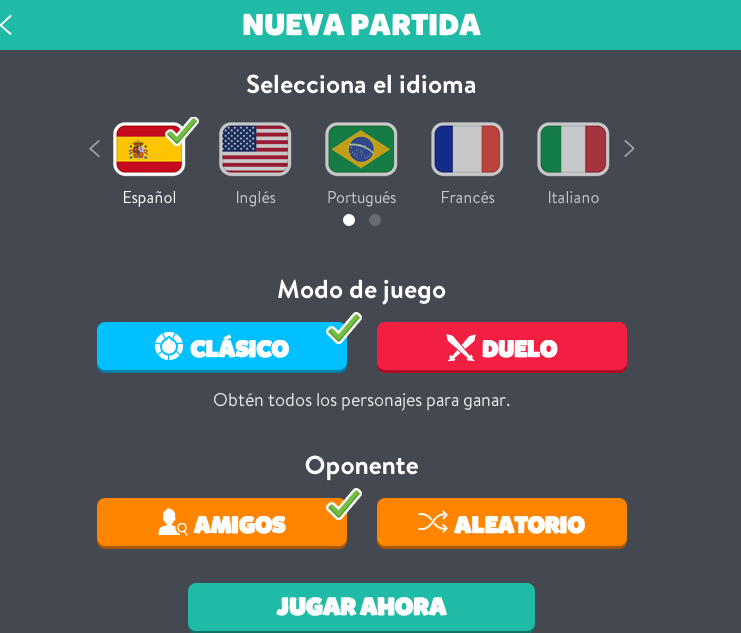 **Update 3.5.15 - To change the language of the questions, when you start a new game you will select the language of you choice (as seen in the photo below). As far as I know, once you have started a game in one language you may not change it mid game. To change the language of the instructions and background information, you must change the language of your Facebook. Each week my students complete 3 "points" worth of choice "Real World" homework. 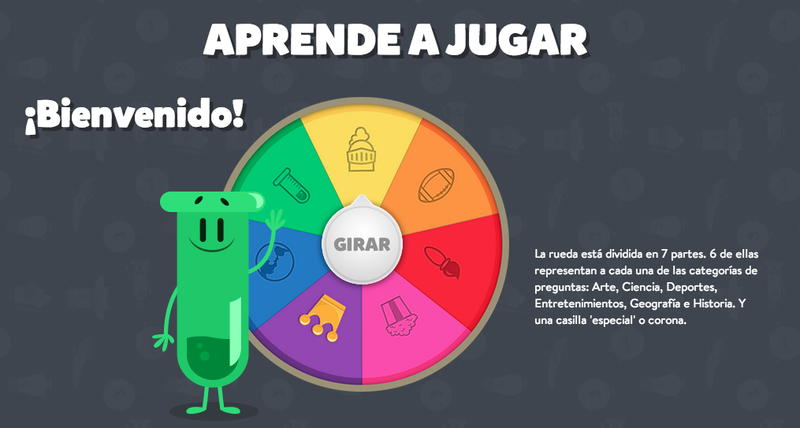 This week I had a couple students ask if they could use playing Trivia Crack in Spanish. Two students played each other for 30 minutes and submitted the screenshots below as a part of their weekly report for their 3 points. They had a ton of fun, learned a lot of new words, and now many more students are planning on using this option next week. What are ways you have found to incorporate students' current interests in class?